For that music freak in you, who wants to be accompanied with brilliant music always, here is the partner that you need. Amazon.in brings super quality headphones at an amazingly affordable price. 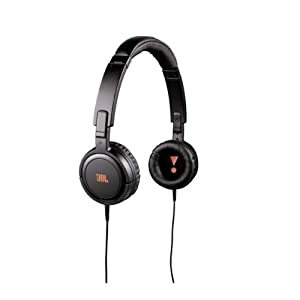 From the house of JBL , the J03B tempo on-ear headphones at Rs 912/- only. The headphones are equipped with high performance drivers that provide accurate and a high output sound. It also has a high output sound with a brilliant frequency response. The foam cushions of the headphones rest very comfortably on your ears and you also have padded ear cups for a comfortable music listening session. The wattage of the earphones is 30 milliwatts. Check out details here and make your order now. How to get this Headphone at discounted price of Rs 912? Wait not to order as these are just the partner that you need.